Excellent details and colors. Very nice image with perfect focus. The flowers are framing well the insect. 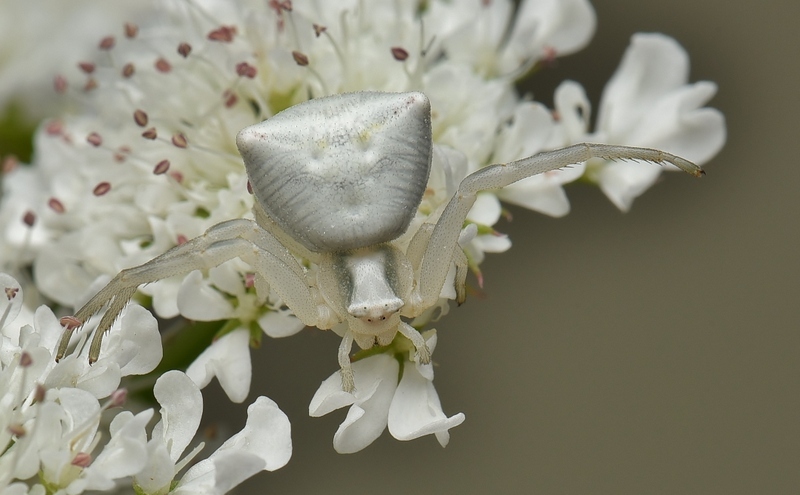 The point of view is showing the details of the Flower Crab Spider. The sharpness is very good. Have a nice day. Beautiful shot, no doubt. Excellent details and exposure. I've to buy a macro lens! Weer even terug van weg geweest. Pracht foto van deze krabspin. Hoe vind je zoiets met zulke gecamoufleerde kleuren. Uitstekende scherpte en goede compositiekeuze.